Jet Spinner is a very nicely build, muscled stallion of beautiful Austalian sprint lines. His sire, Black Knight, is a G2 stakes winner and a new sire over at Cherox Park. Jet Spinner is one of his first progeny. Black Knight's sire, Hunch Bid, earned a ROM in racing and sired many Austalian Champions in different disciplines. He is by the great sire Tiny Charger and out of Double Bid-mare First Bid. Black Knight is out of stakes winning mare Sheza Achiever, by World Champion stallion Easy Jet, who also sired multiple World Champions. Sheza Achiever's dam, Ciao Ciao Bambina, is by the great Thoroughbred sire Beduino. Jet Spinner's dam is Jet Ribbon, a G1 stakes winner and MEPSA & IPABRA Top Ten show horse. Her sire, Roc Deck, was noted for siring horses with very good conformation. Many of his offspring have earned ROMs in Halter. Roc Deck by AQHA Hall Of Fame stallion Morn Deck and out of Superior Halter mare Roxana Bar. Jet Ribbon's dam was the famous Miss Moon Bar, a Triple Cup winner and HOTY. Miss Moon Bar foaled many winners and she is also granddam of many winners and race champions. Most of our Quarter Horse program is based around this mare and therefore we are very excited to include Jet Spinner in our program, as he has Miss Moon Bar up close in his pedigree. 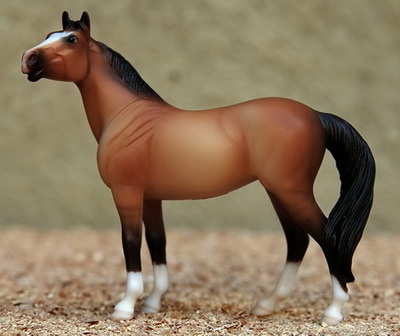 Available for breeding 2003 - present, to all Quarter Horse and Thoroughbred mares. Other breeds considered upon request. Would like offspring to have 'Jet' somewhere in the name, but this is not obligatory. Smokin' Hot Gun is the product of generations of fine Australian breeding. He is by the very good racer Currajon Casey's Luck, winner of the All Australian Futurity Stakes (G1) and the QLD Cup. He sired 3 race winners out of a very limited amount of foals. None of his real progeny have made a big impact on the racing world, but Smokin' Hot Gun has definitely proven that he is worth his keep. Currajon Casey's Luck's grandsire was Top Moon, one of the greatest Quarter Horse sires of all time! He sired over 1800 foals, among which almost 800 winners, 4 World Champions and many ROM eaners (in both Race and Arena). On his sire line, Smokin' Hot Gun has no less than 3 Hall Of Fame stallions in the first 5 generations of his pedigree. Currajon Casey's Luck's dam, Royal Dozen, was a Easy Jet (AQHA Hall Of Fame). Further lines include Double Bid, multiple times Three Bars (TB), and Diamond Charge. Smokin' Hot Gun is out of Gubbera Park's current greatest broodmare, Maga. Maga is a daughter of the multi Champion stallion Millbrook Vapour Trail and the very good broodmare Jet Shadow. Maga carries double lines to Jet Along, and in addition to that also Bar Deck and Jet Deck. Maga's maternal granddam is the fantastic Miss Moon Bar; she was unbeaten in 11 starts! Miss Moon Bar shows great influence in the model Quarter Horse sprint lines, and we hope to continue the MMB tradition with our own great stallion Smokin' Hot Gun. 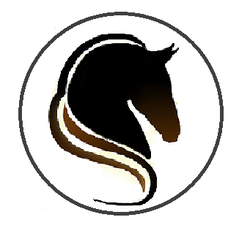 Available 2011 - present, to all Quarter Horse, Paint Horse and Appaloosa mares. Other breeds considered upon request. Limited amount of foals in 2011. These youngsters will soon be available to the public! Will be available in 2016/2017.